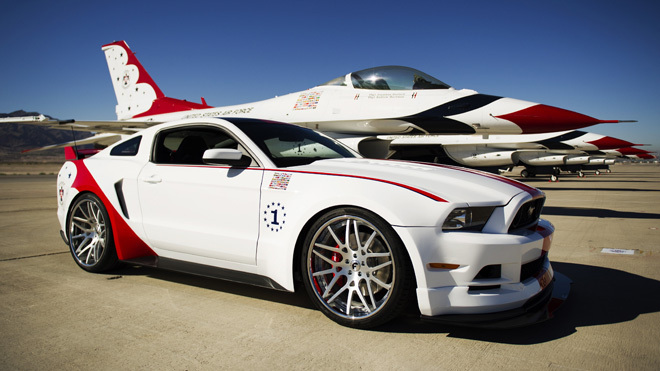 Ford has come up with the next-best thing - Mustang GT U.S. Air Force Thunderbirds Edition. It's designed to celebrate the 60th anniversary of the U.S. Air Force Thunderbirds. Every year, Ford decorates a Mustang for the occasion of the big air show, often with a military theme.